Today was mainly spent on the road, driving from Franz Josef to Queenstown. However, what seemed to be a simple 5 hour drive turned into a beautiful, fascinating experience through the different topographies of the South Island. After taking these photos, however, we realized that there were little flies all around us and around our car. We tried to get into our car quickly but unfortunately a bunch of these little stupid flies followed us into the car. Therefore, the next 10km on the road were spent with Fanny trying (pretty much in vain) to swat at these little flies while I intermittently rolled all 4 windows up and down trying to force these flies out (also in vain). So we pull over to the gas station with both of us swatting ourselves and the flies out of the car with magazines. What a sight we must have presented to the gas station attendant! Finally, after some more fly swatting and window rolling, we were able to get most of them out. And we continued on our journey, which included stopping at some beautiful lakes. 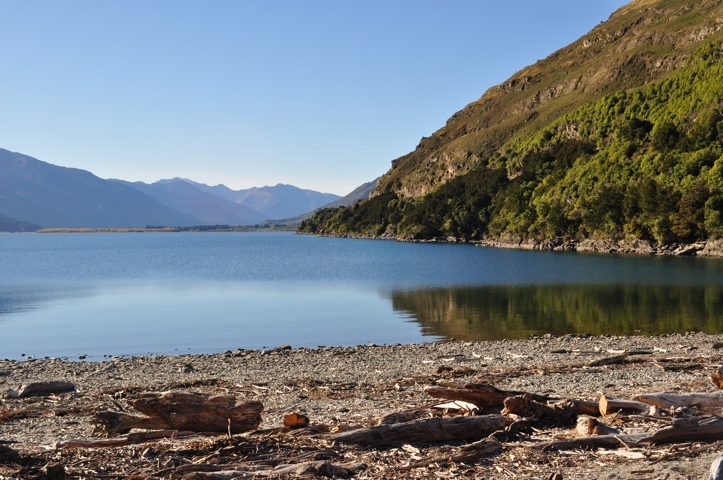 The one I was most interested in seeing is Lake Wanaka. Why? Well, my legal middle name is Wanaka. So finding out that there is a town and lake with the same name was pretty darn cool. So of course, I had to visit! 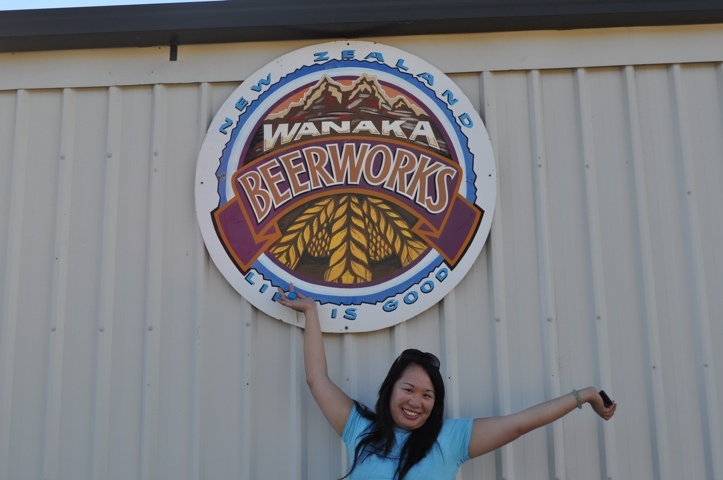 The one thing I really wanted to visit was Wanaka Beerworks, a small brewery located on the edge of town. Unfortunately it was partially hidden (behind a Toy Museum, crazy right? ), and we weren’t able to catch it before closing. But at least I got a photo with the sign! 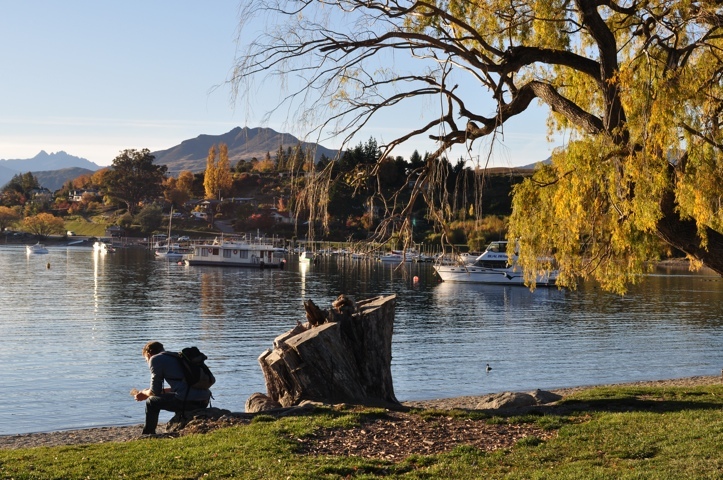 After that, we actually got to enjoy the town of Wanaka itself. 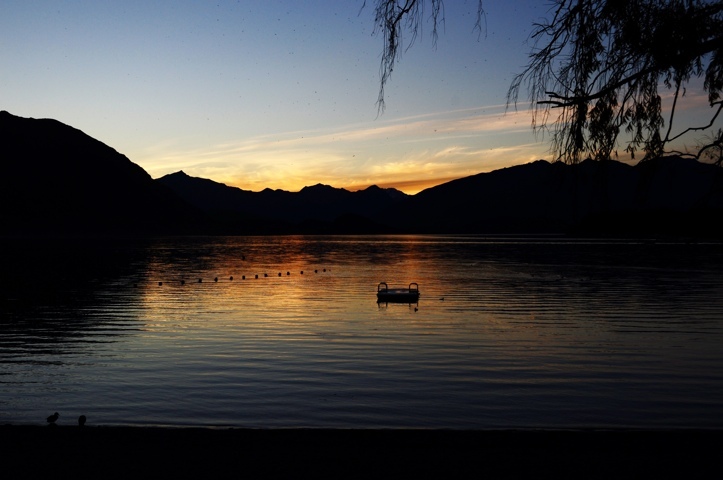 It was a cute, quaint little town, located on the huge, beautiful Lake Wanaka, where we got to watch the sun set. However, this meant that we had to drive the final hour to Queenstown in the dark. 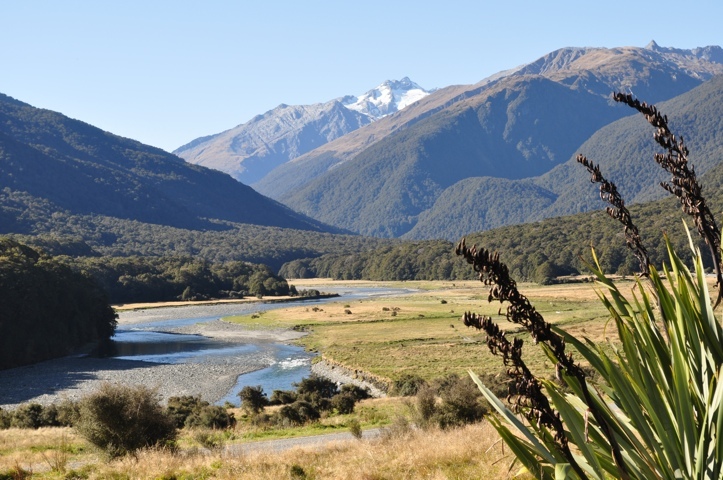 And the thing about most of New Zealand is, there is no freeways here (as Fanny says, there wouldn’t be enough drivers to fill them anyway). So when it gets dark on these one lane roads, it gets pitch-black dark. So our drive through dark winding roads was interesting, to say the least. But we made it here to Queenstown safely. Queenstown is known for being party-central, but once we saw our room, we had no desire to leave. Wonderful remote heating system, private bath, flat screen tv, fridge, wireless Internet, with windows right onto cute downtown Queenstown – it’s amazing the things you start to appreciate when you stay in budget accomodations! The sunset picture is gorgeous.